Rent Rancho Mirando | Corporate Events | Wedding Locations, Event Spaces and Party Venues. 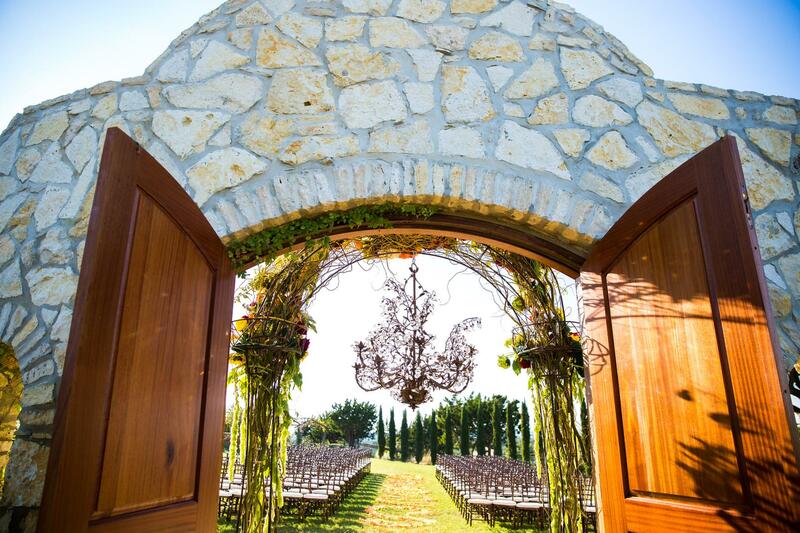 Standing on the porch of the 4,000 square foot Spanish mission-style home with its clear Texas skies and rolling hills, it’s quite easy to see why this jewel is in constant demand as the perfect hill country site for lavish events and weddings. Destination wedding weekends are our specialty! Rancho Mirando is a 50 acre luxury guest ranch and event venue located in the beautiful Texas hill country just an hour from Austin, Texas. Situated along a ridge known as the Devil’s Backbone, Rancho Mirando or “the looking ranch” was named for its breathtaking views overlooking the Wimberley valley. Rancho Mirando is a dream come true. From the vibrant hacienda to the barbecue deck, pool, and many unique hardscape features, there is a spot for most any entertaining need. Unveiled in 2013, our 5000 square-foot architect-designed Pavilion is an entertaining event space like no other. This stunning property sits on top of a hill with three hundred and sixty degree panoramic views that are never ending. In addition to the 4000-square-foot Hacienda, the ranch’s crowning jewel, the estate features 50 acres of wildlife preserve, gardens, walking paths, a stone grotto pool and several entertaining spaces. Our original ceremony location, the Jardin Vista Ceremony Site is located on the terrace below the Hacienda.